With the travel time I have for work on trams I am blessed with actually having time to read. I think most people would agree that once they start their working life they lose time for reading… if it doesn’t happen then, then by the time they become parents if they chose to take that path… they lose that time then. For me though I’m reading a book roughly every two weeks. I’m pretty fortunate I would say. However, because of this I have had to make the effort to go the library… can’t really afford buying all the books I want to read anyway but especially if I get through as many as I do. Last week as I had just finished reading Harry Potter for the second time, I thought to myself… what am I going to read? When reading a series as long as seven books you don’t really have to think much about the next book for a while. 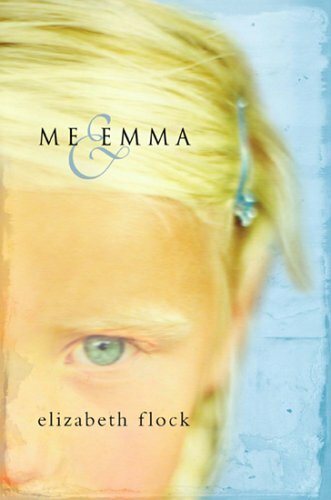 Once at the library I quickly found the books I was looking for and decided to have a “random” search… In doing so I stumbled across “Me and Emma” by Elizabeth Flock. Of course I picked it up, it did have my name on it after all. I didn’t know anything about this author, the book or anything but simply based on what I read on the cover and the testimonies on the back I decided to borrow it. I didn’t even read the blurb. I’m now only a few chapters to the end of the book and I am very happy I picked it up from the library. In the way that it’s written I was instantly reminded of Scout from “To Kill a Mockingbird” by Harper Lee. Carrie is eight years old (Me) and her sister Emma is six years old. It’s the tale of the two girls and their lives together. Carrie narrates the story. It is both a beautiful and harrowing. Carrie is there to protect Emma from their abusive step-father Richard, their mother is blind to his abuse and powerless to stop it and we shown flash-backs to their past life when their Daddy was alive. If you decide to read this and love children there may be times where you feel sick…You’ll want to cry too from the lives the girls might have had if their father was still alive. However, this all depends on how sensitive you are! I don’t want to go into too much detail and as I haven’t finished yet I can’t write a review. With all this reading I do hope it makes me a better writer! Signing off – hope you are having a good weekend and getting some reading done!